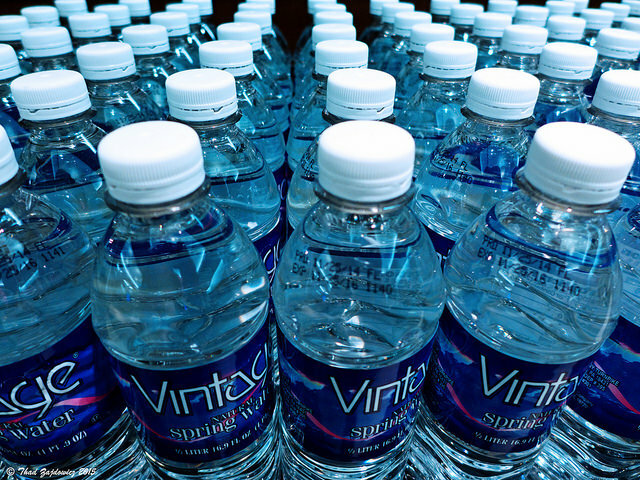 How many of us can actually say that we drink about 64 ounces of water every day? When I was younger I refused to drink more than a cup of water I preferred soda, lemonade, Kool-Aid anything sweet. To me water had no taste and I didn’t see the point in drinking it. The rule in my house was that at the dinner we had to drink two cups of water before getting any other beverage. I would have to sneak soda late at night after my parents went to bed. During my preteen years I was slightly overweight and the soda was probably the one variable that contributed to my weight gain. In our Sc200 class we saw that there is a correlation between weight gain and sugary drinks. I was drinking on average one can of soda a day. The side effects that I felt afterward included headaches and feeling very sluggish. The pediatrician said that I needed to limit the amount of sodas I drink because I was at risk of developing type 2 diabetes. As the years went by I actually started to enjoy drinking water. I drink on average about four to five cups of water a day. There are so many benefits of drinking water. Well for one your body is made up of 75% of water. So it makes sense that our bodies need a certain amount of liquid in order to function properly. If we don’t give our body its daily dose of H20 then that’s when bad things start to happen. Our kidneys start to suffer the most damage because their job is to flush out all of the toxins within the body. If you are not drinking water the toxins start to build up in the kidney’s which can lead to problems later on like kidney disease. There are so many benefits that water can have for your skin as well, it can make you look younger and clear up acne. Did you ever notice how your body feels so tired if you are not fully hydrated? It’s your bodies way of saying its thirsty. Gatorades will not help quench your thirst. According to Healthline.com, Gatorade is replacing electrolytes that the body loses while working out. So yes this can be good for those that do intense workouts. But for the average American the best thing to drink if you feel dehydrated is water. For those that are trying to lose weight water can help with that as well. It’s less likely that you will overeat. Try to make drinking water an enjoyable experience instead of a chore. Get a nice water bottle. You customized the flavor of your water by adding sweeteners to it. There are also a lot of fruits that are 90% water like watermeloon for example. Hers another way to tell if you are getting the right amount of water. According to WebMd, if your pee in clear or a light yellow color then that’s means you’re good when it comes to the amount of water you drank for the day. If it a dark yellow color and has a very strong odor, then that’s an indication that you need to drink more water. But don’t overindulge on the water as with anything too much of anything can be harmful. Don’t start right away with trying to drink a gallon of water. That will not only make you sick but also constantly running to the bathroom. Start off by making it a goal to drink at least two cups a day. Say yes to drinking water your body will thank you in the long run. This entry was posted in Uncategorized on October 20, 2016 by Imaani Allen. 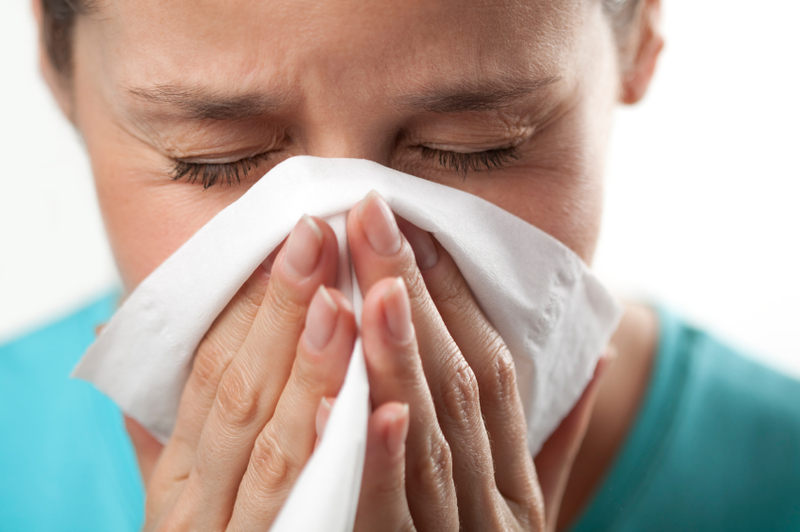 Does Lack of Sleep Increase Your Chances of Getting The Common Cold? As a Penn State student, there are two things that I am very familiar with. Being sick; and not sleeping. I think it is safe to say that most college students suffer from lack of sleep. My question is whether that lack of sleep leads to vulnerability to catching the common cold. While researching this topic, I came across a study run at the University of Virginia where researchers set out to answer exactly that question.This double blind study was composed of 78 men and 75 women, all of whom were in good health. In order to rule out possible third variables, the researchers made sure that all of the participants had medical histories that would not directly impact their predisposition to catching the common cold. In order to gauge the participant’s sleeping habits, the researchers used the Pittsburg Sleep Quality Index. This gave the researchers an average level of sleep quality over the 28-day study that they could use to compare to immunity to the common cold. In an effort to keep third variables from skewing the results, the participants were quarantined for the duration of the study. On the 14th day of the study, the participants were exposed to the rhinovirus through nasal drops which causes the common cold. The participants were quarantined and monitored for five days after exposure to the virus in order to see if any symptoms would develop related to the common cold. After analyzing the results, the researchers found that those participants who got less than seven hours of sleep per night were almost three times as likely to catch a cold than those who got eight hours of sleep or more. While the researchers did not discuss a clear mechanism for why a lack of sleep causes individuals to become vulnerable to the common cold, the only reason I can think of is that with less total energy, the body cannot devote as much energy to the immune system causing a higher vulnerability. My take away from this study was that it is worth getting that extra hour or so of sleep in order to prevent the common cold. Because being ill can sometimes lead to a harder time falling asleep, becoming sick once could create a vicious cycle of becoming sick over and over again. 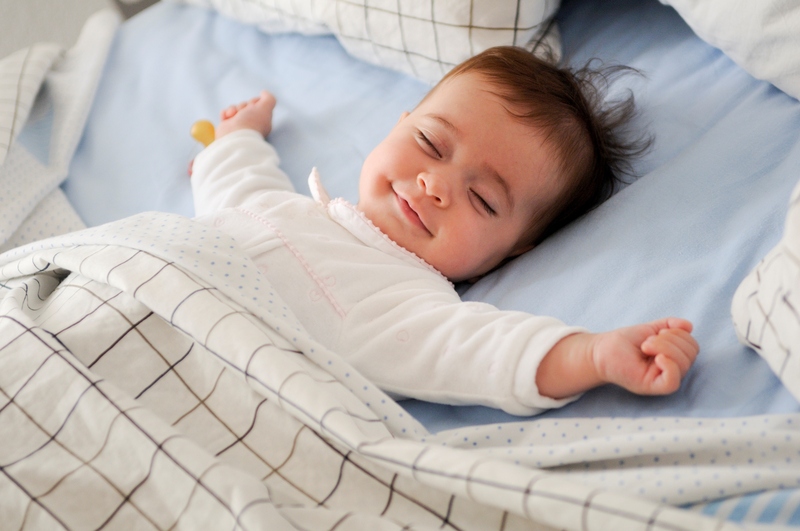 Just make sure you get an adequate amount of rest to avoid being sick and rest when you become sick in order to prevent future illnesses. This entry was posted in Uncategorized on October 20, 2016 by Greg Belluscio. Can animals can do crazy things after training? Last month, I saw a amazing youtube video. A dog named Jumpy can write its name by having a brush in its mouth. I was amazed by that. Later I found more crazy videos. A cat can play piano, a dog can do simple math by barking, and a monkey can even drive. It seems that some animals can do crazy things after training. Thus I found some researches about this. I find that people usually give animals some food for reward after they do what human wants them to do. They repeat this for a long time, and later animals can do certain thing. This is called classical conditioning-animals learn to associate two stimuli and thus to anticipate events (principle of psychology). 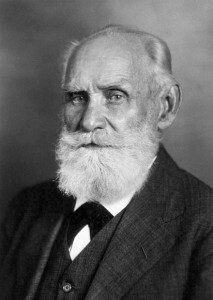 Ivan Pavlov, one of the most famous physiologist in 20 century, did a famous lab about classical conditioning. “In order to eliminate possible influences, they isolated the dog in a small room, secured it in a harness, and attached a device to divert its saliva to a measuring instrument”(principle of psychology). 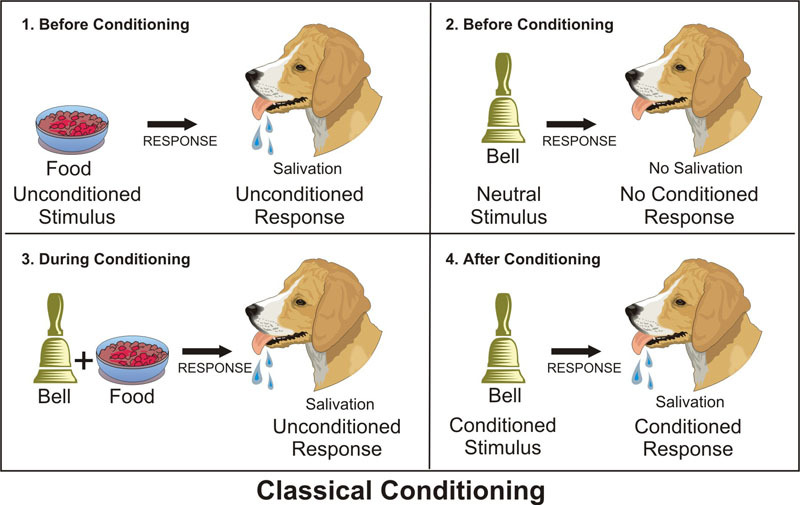 In classical conditioning, there are five major parts, unconditioned stimulus, unconditioned response, neutral stimulus, conditioned stimulus and conditioned response. Before conditioning, they presented some food, which is unconditioned stimulus, in front of the dog. The dog began to salivate, which is unconditioned response. Then they sounded a tone, which is a neutral stimulus. However, this time there is no salivation. During conditioning, they sounded a tone first, and then gave some food to the dog. 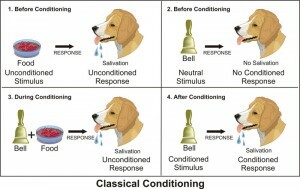 After many trials, the dog would salivate( conditioned response), when the heard the tone (conditioned stimulus). Neutral stimulus usually causes nothing, but if the unconditioned stimulus is repeatedly presented after neutral stimulus, then neutral stimulus would became conditioned stimulus that cause conditioned response. In this case, researchers always presented some food after sounded a tone, which let the dog associate the tone and the food. Therefore, when it heard the tone, it would think of the food and then began to salivate. Theoretically, By giving animals some rewards, we can teach them many simple things if we have time. If anyone is interested in this, you can definitely try this with your pets. Is there anything worse than waking up for class on a dreary day in the middle of January? It’s freezing outside, there’s no sunlight to be found anywhere, and you’re completely miserable. This is a struggle that just about everyone has gone through at some point. There’s an actual name for it as well: winter depression. 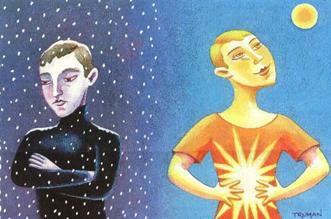 Winter depression, another name for seasonal affective disorder (SAD), is caused by a variety of factors. These include lack of sunlight, changes in the air we breathe, and changes in the chemical makeup of our brains (WebMD). It’s difficult to ascertain just how many people are affected by this disorder as most cases likely go unreported, but estimates say the number is in the millions (TechHive). There are many symptoms of SAD, as depression of any kind can manifest itself in a multitude of ways. Some symptoms of winter specific SAD include feeling lethargic, insomnia, weight gain, and even considering or committing suicide (MayoClinic). There are several ways of treating SAD, including medication and exposure to artificial sunlight. No matter how treatment is sought, it is important to try to beat the winter depression however possible. One new treatment that has people buzzing is the Life Light. 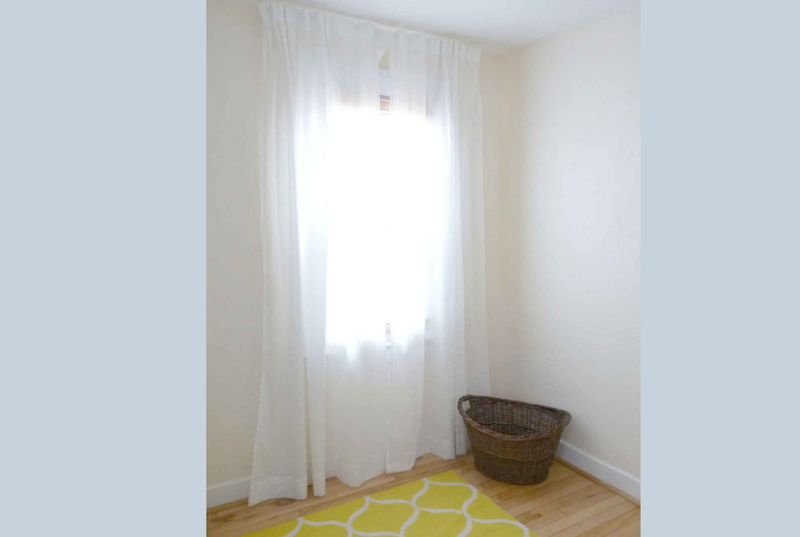 Created by students at the NuVu school in Massachusetts, the Life Light (pictured below) is a set of bulbs that goes on a window, covered by see through drapes. The result is the appearance of real sunshine coming into the consumer’s house. While it obviously isn’t actual sunlight, the light shining combined with the placebo effect of it coming through the window makes it very possible that this invention could treat the seasonal depression of many sufferers (TechHive). In summary, winter depression is a disorder that affects millions across the globe. In many cases, it’s not terribly serious and can be solved with some fresh air and the knowledge that spring is just around the corner. But for some, it’s much more serious and can even be life threatening. In those cases, light therapy, medication, or the Life Light may be the only way to help pull yourself out of the funk. This entry was posted in Uncategorized on October 20, 2016 by Tyler Mitchell Azar. I’ve never been a big soda drinker, and I can thank my parents for that. They rarely let me drink it and never had it around the house. Now that I’m older, I’m thankful for that as I live a healthier life than many of my friends. According to an article by Marie Dannie of Livestrong, the only real benefit from soda is moderate hydration. She says that soda can help you meet the daily recommended hydration levels. However, water is obviously a better alternative as soda has dozens of other bad effects on the body. Throughout my life I’ve seen many family members make the switch from regular soda to diet soda. Often it was because they were looking to lose weight without having to completely cancel soda out of the diet. 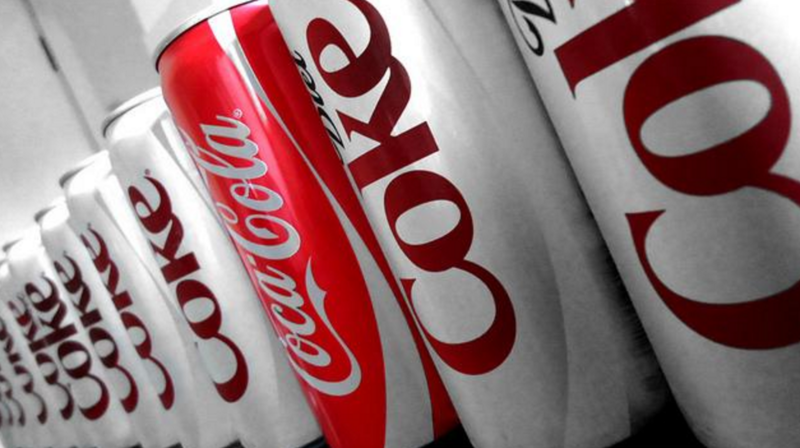 I had heard before that drinking diet soda was actually worse for you. I had a hard time believing this because how could anyone buy this product if there were any evidence that it weren’t a healthier alternative? I finally decided to do some research on it and maybe now I can finally educate some family members. I found an article by Dana Dovey of Medical Daily which outlines the good, bad, and really bad effects of diet soda as well as regular soda. She starts off right away by explaining that both types of soda simply aren’t good for you; there are good and bad to both. Dovey goes on to explain the only positive benefit she can think of, which is dental hygiene. She explains that the the lack of real sugar in diet soda (diet soda contains artificial sugar) is better for the teeth than actual sugar which is in regular soda. However, she states immediately after that diet soda also contains acid which can eat away at your teeth over time. So I guess she really couldn’t come up with any benefits of diet soda. In her next section she writes what she considers the “bad” things about diet soda as opposed to the “ugly” which she addresses later. She explains that the use of artificial sugars in diet sodas actually contribute towards weight gain. Apparently the artificial sugars in diet sodas increase sugar cravings as well as overall food and drink cravings. So unless you limit the amount of food you consume while drinking diet sodas, you could very easily see a weight increase even though the soda contains no real sugar or calories. Next, she discusses the much more serious effects of diet soda which include increased risk of strokes and heart attacks. In a University of Miami study, 2,465 people reported what they drank and how often they drank it, and then they were followed for 9 years. At the end of the study, it was found that diet soda drinkers, as opposed to those who rarely drank soda, had a 48% greater chance of heart attacks or strokes. While this leaves a lot of room for 3rd variables, it definitely shows a decent correlation between diet soda and health problems. Dovey then goes on and explains the good, bad, and ugly of regular soda. She states that regular soda can effect learning capabilities as well as memory function. This is due to the extreme amounts of sugar in sodas that reduces brain derived neurotrophic factor, which is a chemical that effects learning and memory. She also mentions a 2012 study that showed that one soda per day strongly correlated to a 20% increased risk of a heart attack. With this, we still can’t conclude whether diet soda is more or less healthy than regular soda, but we can certainly prove that both sodas are causally related to poor health, which has been found in numerous detailed studies. Obviously the best option is to stay clear of both types of soda, especially since there are so many healthier alternatives. Next time you’re thinking about taking a diet coke over a regular coke, thinking it’s the lesser of two evils, you might want to settle for a water. This entry was posted in Uncategorized on October 20, 2016 by Michael Gerard Shevlin. 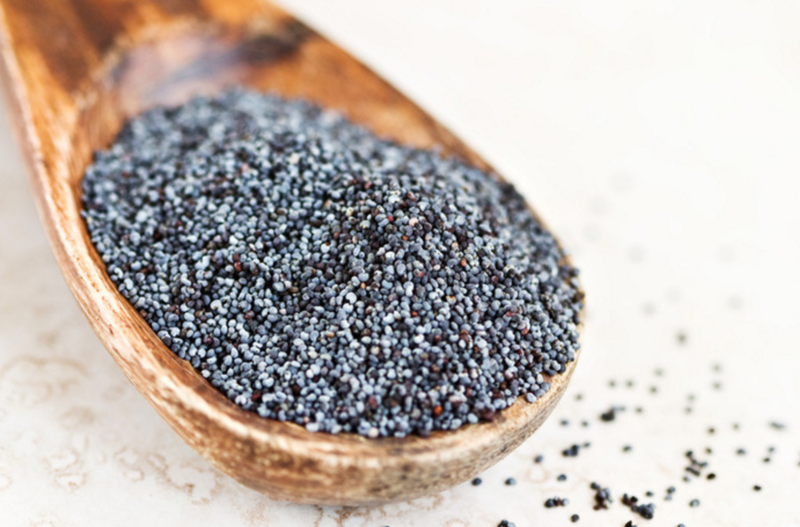 Will Poppy Seeds Actually Make You Fail A Drug Test? My whole life I’ve always loved poppy seed bagels. It used to be the only kind of bagel I would eat, and I remember my mom would always tell me that if I were to have a drug test right after eating, I would fail. She claimed she had a friend who failed a drug test for her new job because she had eaten a poppy seed bagel before it. While I’m not completely sure that’s a true story, I thought it was pretty funny. I never really thought anymore of it, but if I were to ever get drug tested I would stay far away from poppy seed bagels based on my mom’s word. Even though I should probably listen to my mom no matter what, I decided to do some research to find out the truth, and I found that there is a lot of information on the idea. I came across an article by USADA explaining how exactly poppy seed could transport drugs into your body. The article explains that the opium poppy plants contains seed pods filled with morphine as well as poppy seeds. 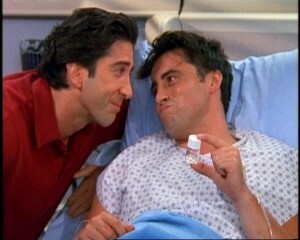 When the morphine and poppy seeds are separated, the seeds are undoubtedly going to have minor traces of morphine. However, when the seeds are not cleaned properly, they can sometimes be covered in larger amounts of morphine, possibly leading to a positive drug test. According to the article, a morphine measurement of 1.3 micrograms/mL or more could result in a positive test result. With enough poppy seeds and enough morphine cover, I could easily see how someone could accidentally test positive. However, I wanted to see how often this really occurs so I looked for some experiments. Another article I found, by Emily Upton, outlines some experiments that actually test out this phenomenon. She goes on to explain a German study by the Institute of Biochemistry in 2003. For the experiment, a group of people (unspecified sample size) consumed different amounts of poppy seed cake. Then, they were tested for morphine levels at the 24 hour mark and the 48 hour mark. For both time marks, all people tested positive and some reached levels as high as 10 micrograms/mL. While there is still technically room for 3rd variables as well as chance, this experiment, even if it is a small experiment, shows some serious correlation between poppy seed bagels and positive drug tests 48 hours later. According to the article, Myth Busters conducted an almost identical experiment and got nearly the exact same results. Although there is a very slight chance that 3rd variables could be causing this, it is very hard to believe that this is not a causal relationship with the evidence we have already collected. This epidemic of positive drug results due to poppy seeds has caused a shocking amount of trouble. From police officers to white collar workers, numerous people have failed drug tests due to, what is believed to be, morphine from poppy seeds. Plus, of course, there have even been lawsuits surrounding the issue, like one you can read about here. A mother had her newborn child taken from her when she failed a hospital drug test due to poppy seeds. The mother was paid a settlement of more than $143,000 after her child was taken from her home without any prior warning. With so many cases like this, it’s very important that we prove causation between poppy seed consumption and positive drug test results. At this point, I believe that we have a solid foundation for proof of causation as several detailed experiments have shown serious correlation with little to no room for 3rd variables and chance. One way to improve our certainty would be to take significantly larger sample sizes. However, for now, I’d recommend that anyone with a drug test in the future just stick to plain bagels. Most people have probably heard the notion that smart people drink more. However, that’s an extremely vague statement that’s probably not 100% true in the broad sense, so I decided to find out the truth. Throughout high school and my first year of college, my experiences showed me the opposite of this idea. I tended to see the less intelligent people drinking heavily and the smarter kids controlling their intake, but a handful of kids from my personal experience couldn’t debunk this idea right away. I came across an article by Jordan Rosenfeld where she outlined the results of 5 different experiments which all tested this topic. She explains the first experiment which showed that woman in the UK who attended college drank 86% more than those who didn’t (same age). The experiment clearly showed a strong correlation between level of education and alcoholic consumption, but it left room for many 3rd variables to effect the results. For example, in a college environment, you are more exposed to alcohol than you would be if you didn’t attend a university. This scenario could lead to a false positive result as it may not be the intelligence of the person that is affecting their drinking habits. Rosenfeld went on to discuss the second experiment in Finland where sets of twins were studied throughout their childhood. The results showed that the twin with the best developed speech at age 12, could prove them to be smarter, drank more at the age of 16. While this experiment payed more attention to the measurement of knowledge, the result of increased drinking could still be due to a 3rd variable or chance. Also, the measurement of speech development doesn’t directly relate to intelligence. Therefore, these measurement which correlate to alcohol consumption could not be related entirely to what we are looking to measure, which is intelligence. The 3rd experiment Rosenfeld discusses relates college education to alcohol consumption later in life. The experiment showed that only about 35% of non college graduates drank while about 68% of college graduates did. While graduating college often improves your intelligence as opposed to not attending college, this still is not a very accurate measure of intelligence. Some of the most intelligent and successful people did not graduate college, like Bill Gates and Mark Zuckerberg. This experiment seems to be a step in the wrong direction as the 2nd experiment included more detailed intelligence measurements. The 4th experiment offers a much more efficient approach for relating intelligence and drinking habits by measuring IQ’s of 50,000 Swiss males aged 18-22. First off, this showed that those who didn’t drink alcohol at all had the lowest IQ’s. While this doesn’t prove causation, it certainly helps towards the notion that intelligence and drinking are causally related. The main discovery from this experiment is that men with the highest IQ’s drink in moderation, which is known to be the smartest and healthiest route. So after all of this research, my answer has yet to be answered. Scientists have yet to find some serious proof that intelligence causes an increase in alcohol consumption. However, based on these experiments, we can see a pretty significant correlation between attending college and drinking habits. We can also see that there is strong evidence showing those who don’t drink at all have the lowest IQs. This is something that needs to see more experiments. However, these experiment must be detailed experiments which will effectively test intelligence and increased alcoholic consumption without the possibility of 3rd variables. As for me, I will observe how my college experience and growth of intelligence will affect my alcohol consumption in the future. Snap, crackle, and pop…..but not the catchy slogan. A few days ago I went to the dentist and the surprising news he gave me had nothing to do with my teeth, but it was correlated. The appointment was coming to an end, but he wanted me to do a bite test so he could see the alignment of my teeth for future reference. He put some wax over the bottom teeth and asked me to bite down, shift to the left, shift to the right, forward, and backward. He was pleased with my alignment but asked if that was normal. I replied back, is what normal? He said that my temporomandibular joint(TMJ) was popping when my mouth moved to the left with a significant motion. I told him that last fall when I was playing lacrosse I got hit in the side of the helmet and ever since it had popped like that, it didn’t hurt so I just thought that it was dislocated and there was nothing I could do to fix it. From time to time, whenever I would eat it would sound like someone squishing Jell-O in their hand. He said that the cartilage that’s in-between that joint and the temporal bone can be worn down over time with that motion and it could become very painful after the cartilage is gone. He told me that there was no surgical solution and to not make that become a habit. Your mouth is one of the most active parts of your body on a daily basis. The temporomandibular joint connects your mandible (lower jaw) to the temporal bone (cheek bone) and its motion range from up and down, to left and right, and side to side. This joint allows you to chew, speak, and let out that yawn you have before your 8am. 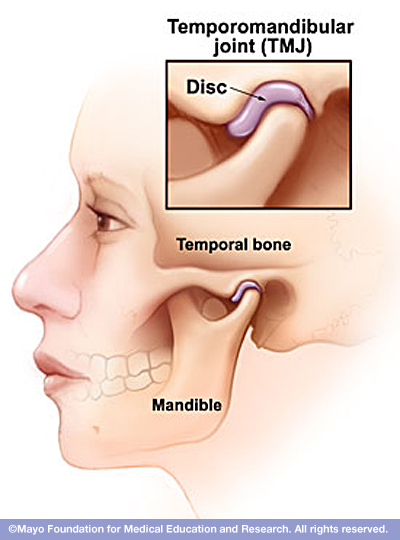 The three main causes of temporomandibular damage (TMD) are dislocation, trauma, and damage to the cartilage disc. The habit that is most common that pertains to the damage of the disc is grinding of the teeth. Men and women have different joint forms and researchers have discovered that TMD is more common in women, their hormones can also be a factor of TMD. Symptoms of TMD are simple, it hurts. Since the jaw is such an active bone in the body, it incurs a lot of action on the daily such as chewing. When chewing is traumatic enough on the joint a dislocation can cause it much more stress since it is moving a lot more. Depending on the person condition the pain alters, it can be grueling or it could not hurt whatsoever, either way dentist recommends to make an appointment as soon as possible. There are many solutions into relieving TMD, doctors recommend your solution to be low-key instead of surgically repairing it. For patients who suffer from the habit of grinding their teeth, a custom night guard is an easy solution to this problem. If you don’t suffer from TMD, but still have a clicking or popping sound of your jaw there are plenty of treatments that are easy and assessable. Staying away from harder foods that put more stress on your jaw and choosing to either apply ice or heat for a period of time are just two ways to reduce the risk of temporomandibular damage. This entry was posted in Uncategorized on October 20, 2016 by tmv5147. Marijuana: The Devil’s Lettuce or God’s Gift? Whether you like it or not, marijuana is becoming more and more prevalent in our country today. More and more people continue to push for the nationwide legalization of marijuana as they believe it has too many medical benefits to deny the public of its many uses. In this article, you can see states like Colorado, Washington, Alaska, and Oregon, who have made recreational use of Cannabis legal. Often, we see that those who do smoke tend to insist that marijuana is a harmless drug with many benefits, and on the other end, many of those who don’t smoke see this plant as a murderous cancer to our society. I’ve always wondered if there was solid evidence behind either argument, so I set out to find the truth. I came across an article by Agata Blaszczak-Boxe outlining 20 years of marijuana research. She starts off the article by immediately stating how smoking marijuana before driving doubles your chance of getting into an accident. She also states that 1/10 daily marijuana users become reliant on the drug. But what led us to these conclusions, and have we found a real mechanism for these outcomes? Agata talks about author Wayne Hall’s research in which he tested the effects of marijuana on humans between 1993 and 2013. She states that his work shows a correlation between smoking marijuana and dropping out of school. It showed that kids who smoked were more likely to drop out of school than those who did not smoke. These children also experienced lesser brain function as adults. Now the question is, is marijuana simply a correlation to bad health effects, or is marijuana truly causing these things to happen. With a situation like this, where school children were observed, we can always assume there might be a 3rd variable affecting the children and the marijuana is not. Also, many people could argue that, without details of a timeframe, reverse causation might be the answer to this. As Agata goes on, she explains another experiment that offers a little more proof of causation. In a Swedish study of 50,000+ young men, the men who smoke more than 10 times before age 18 were twice as likely to develop schizophrenia; as opposed to those who didn’t smoke. With a large sample like this, and a long term time-frame, we can rule out reverse causation. While we still cant rule out a 3rd variable, or chance, this experiment definitely provides some serious evidence showing that mild marijuana use may cause serious health problems. Still, there are many people who insist that this conclusion may be a false positive. Even for those who accept these findings, many believe that the benefits of marijuana outweigh the costs found in these experiments. However, according to an article by Alice Park, there isn’t much scientific evidence behind the benefits of marijuana. 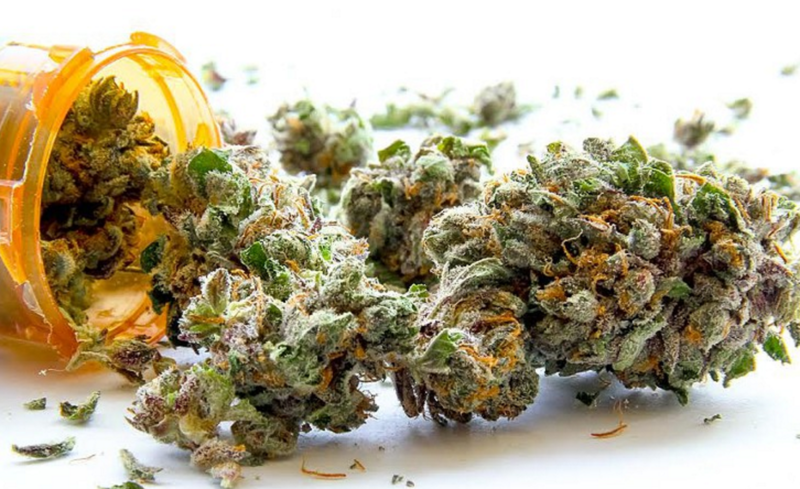 She states that, in an experiment where patients (each had a certain condition that marijuana has been rumored to treat) were given doses of the drug, some reported that their condition improved. However, many of the volunteers admitted that the improvement could have easily been due to chance alone because the correlation was so minuscule. Park states that the experiment showed possible correlation with treating chronic pain while little correlation showed between marijuana and Tourette Syndrome. Without larger and more in depth experiments we won’t be able to confirm an actual causation relating marijuana to medical treatment, but as marijuana become more prevalent in our society, I believe new experiments will expose the true benefits of this drug. Our national government has no yet recognized marijuana as a medicinal product because they still consider it an “illegal drug,” but I can bet we will see legislative changes on the national level in the next 20 years. At this moment in time, there is a lot more evidence backing the harmful effects of marijuana, so now it is up to everyone to decide: Do we take the risk in the hope that there are real benefits to the drug? Or do we stay clear knowing that evidence effectively shows that marijuana is a harmful substance? Like we discussed in class today with our guest speaker, does a person’s height depend on nature or nurture? 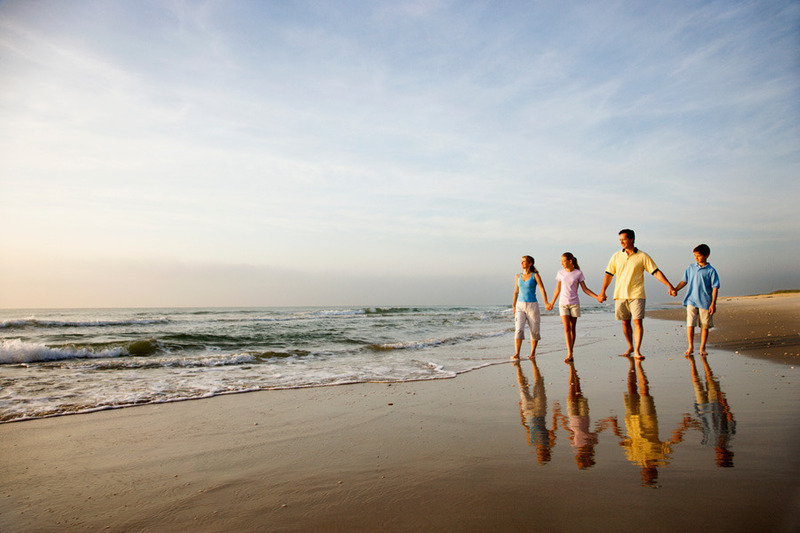 In this case, nature is our DNA and genes, and nurture include outside factors such as our living environment. According to in-class discussion and online researching, I find that both nature and nurture influence our heights. I find a really interesting calculator online which is a height calculator that could calculate your expected adult height, so I put in my information when I was 14 years old and see if the result matches my height right now. The result came up to be 163 cm, and my actual height is 167 cm. So this approves that a kid’s height depends on both nature and nurture. I used to live with my family back in China until when I was 14, and my height when I was 14 was 160 cm, so my mom used to really worry about my height for a long time because she thought my expected adult height was going to stop at 163 cm. But after coming to America, I grew a lot taller unexpectedly, so there must be some kind of outside factors such as food and environment. I started playing volleyball and basketball during high school and did lot of exercises. Also, I ate more meat such as beef. However, a person’s height are both influenced by nature and nurture. This entry was posted in Uncategorized on October 20, 2016 by Yiwei Wang. My mom used to always tell me stories about her grandmother who would dream vividly about food at night and then have no appetite the next day. This idea always amazed me and our whole family never understood the science behind it; or if there even was any explanation for it. I’ve tried to conduct my own experiments but they never seem to work, so I decided to finally do some research on the topic. I wondered if anyone had every experienced something like this before or if any research had been done on the topic. Immediately, I came across an article by Veronica Tonay discussing exactly what I was looking for. To start off, she explains that going to bed hungry or thirsty can cause you to dream about food or beverages. 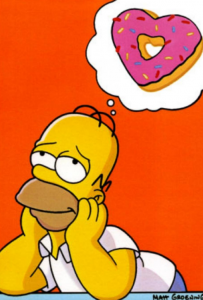 These findings from the 1950’s have showed a serious correlation with appetite and dreams. Tonay goes on to explain exactly what I was looking for. She says that, if you dream vividly about food during your sleep, you will in fact be less hungry when you wake up; and the same goes for dreaming about drinks. While this leads me in the right direction to confirming causation between the two, I wanted to find some more recent and detailed experiences from people. I came across a piece of writing by Nick Wan on Truebrain.com in which he described his experience with food dreams. He claimed that he had a dream about eating a significant amount of food, and when he woke up, he was full; just like my great grandma! Nick decided to do some research like me and came across the very same article by Veronica Tonay. He agreed that there is certainly a correlation between food dreams and hunger, as Veronica stated, but he refused to take her word for it. Like me, he needed more evidence to prove causation between the two, but all he could find were explanations for why he was having food dreams. Wan researched dream interpretations and discovered that his current happiness in life may have caused him to dream about food, but what was causing him to wake up full? I did some research on whether happiness led to a decreased appetite, but I immediately learned, according to this article by Chris Iliades of Everyday Health. Chris explained that loss of appetite is most certainly an effect of depression, meaning that happiness couldn’t possibly be causing a loss in appetite for my great grandma and Nick. With no leads in this direction, I went back to researching the basic question. Does Exercise improve our Grades? As a college student, both exercise and grades are very important to me. A question struck me when I was thinking about whether there was any noticeable correlation between exercise and grades. 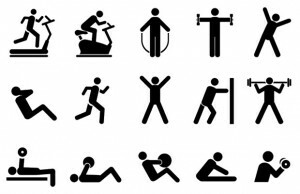 I wondered whether regular exercise could cause my grades to improve? Before I dove into a discussion on whether the two are correlated, I took a moment to think of the ways that the two could be connected. 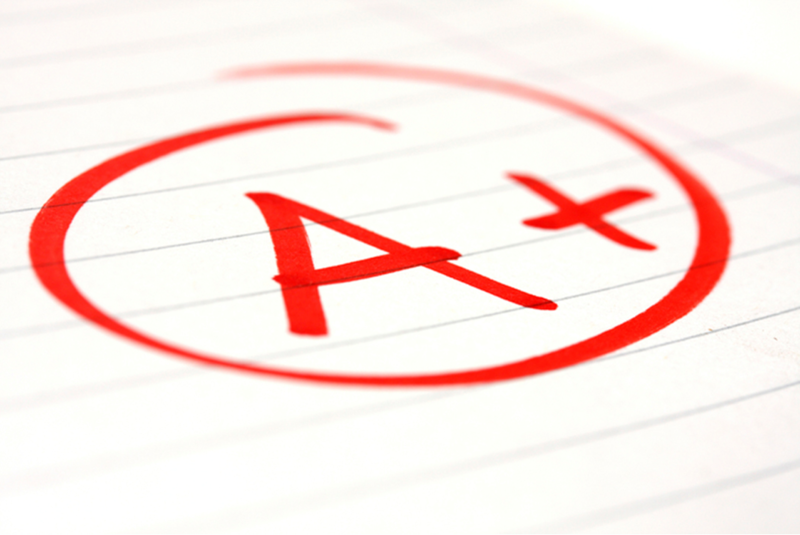 Exercise could cause students grades to improve. There could be some third variable that contributed to both good grades and regular exercise such as an individual’s tendency to be self disciplined. Reverse could be ruled out if the passage of time between exercise and improvement of grades were controlled. A study was conducted by faculty at Texas A&M University in order to try and identify if a correlation between exercise and grades existed. One thing that I found very interesting was that the paper opened by saying that all the students involved in the study gave informed consent before participating in the study. This is important because it ensured that the participants knew all possible outcomes before participating. All of the students who decided to participate were divided into two groups, experimental and control. Because this was an observational study, those conducting the study just surveyed to find out the students’ exercise habits and put those who did exercise into the experimental group and those who didn’t into the control group. After looking at the data, there was no clear correlation between exercise and GPA. These researchers, however, continued to discuss that many researchers had found a clear correlation between the two. With so much evidence pointing towards a clear correlation between exercise habits and improved grades in other studies, it made me wonder if this field suffers from the file drawer problem. Perhaps university sponsored researchers are reluctant to publish data that contradicts a more popular view that exercise has a positive impact on grades because universities might want to encourage their student bodies to participate in regular physical exercise. In another study published in the Journal of Exercise Psychology, researchers compared students’ scores on a fitness test to their scores on SAT reading and math. While this study yielded a very clear correlation between fitness and grades, the researchers even said that it was very possible that this correlation was caused by a third variable. If researchers wanted to rule out extraneous variables, they could continue to design more well controlled studies and increase the populations studied in order to create statistically significant bodies of data that could reduce the chances of the study showing a false positive. 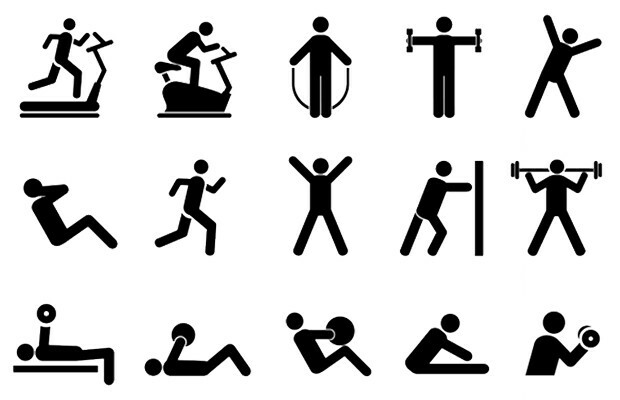 My take away was that you might as well take time to schedule daily exercise. Perhaps the supposed predisposition of universities is a healthy one–that is that daily exercise is a positive habit in the long term. Growing up my mom always stressed the importance of flossing before and after a meal. Also with morning and especially before bedtime. We weren’t allowed to get into bed until she did a mouth inspection to make sure that me and my brother actually brushed our teeth. I did not like flossing as a kid because my teeth were overcrowded in my mouth so it was extremely difficult to get the string to go in between each tooth. The New York Times , reviewed a recent study by Cochrane Database Systematic Reviews they did an experiment to see if there was a correlation between not flossing and tooth decay . A null hypothesis was concluded. That there was no benifit to flossing as opposed to not flossing. This was reported all over the national media outlets. Many people jumped for joy after hearing this. However, dentists cautioned against this study arguing that there was not enough data prove this explanation. Most people think that skipping on night of brushing or flossing won’t do much harm but it can especially if this becomes a habit. Now as college students after a long day its very tempting to go to bed without brushing your teeth. Here are some of the nasty things that could happen if you fail to take proper care of your oral health. There is a correlation between poor dental care and the overall health of your body. Did you know that not properly taking care of your teeth can actually contribute to cardiovascular disease? According to Collgate.com the bacteria from your gums can flow into your blood stream which can then cause clogged arteries which can then lead to a stroke. As young people we think that tooth loss only happens to older people. Well that’s far from the truth what you do today can impact if you will have teeth tomorrow. After every meal you should be flossing because food particles can get stuck on your teeth. Also that white build up around the teeth as described by the Huffington Post is plaque. If left on the tooth too long it can cause cavities. Which is a whole in the tooth. They will either have to get filled if caught in time or a cap is placed on the tooth if too much damage has already been done. Make sure to clean every part of your mouth including the tongue. Do you ever wake up in the morning and wonder what that white stuff is on your tongue? When is the last time you actually washed your tongue? According to Mayo clinic , it’s a combination of bacteria and other particles that collect over time on the tongue. Its caused by a lack of proper oral hygiene. To solve this problem a simple scrub with a tooth brush should do the trick. Just not too hard because it can cause the tongue to get irritated. Some people only brush their teeth for a minute or a minute and a half. That not enough because you need to brush each tooth to remove all food particles. The recommend amoutn of time for teeth brushing is two minutes. Make sure you are using toothpaste that has fluoride in it. Fluoride helps protect out teeth. Limit the amount of candy and other sugary foods that you consume on a daily basis. Remember this equation proper oral care= healthy body. Does Breakfast Make Us Smarter? While researching this topic, two questions came to mind. 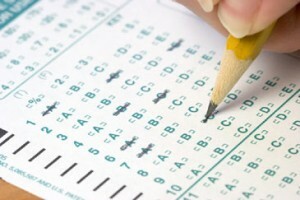 My first question was whether eating breakfast helps college students’ perform better on exams? And my second question was how much of a positive difference does eating breakfast make in college students’ academic performances? Gregory Phillips, a researcher at Blinn College, set out to answer the questions stated above. In this study, Phillips gathered a group of 1,259 college students and asked the group whether or not they had eaten breakfast on the morning before their second exam of a specific class. Whether or not the students had eaten breakfast was considered the independent variable. Only about 65% of students stated that they had eaten breakfast that morning. When collecting information on the dependent variable–exam performance–Phillips waited until the students were taking their second exams to compare the results of those students who had eaten breakfast and those who had not. The reason that Phillips chose the second exam to collect data was in an attempt to eliminate potential third confounding variables, such as adjusting to a new teacher or adjusting to the type of exams the students would be taking in that class. Some problems I noticed with this study were that Phillips never specified if all of the students had the same teacher or whether the exams were given at the same time of day.. A different professor could have a substantial effect on the scores between classes and differing exam times could change the impact of the breakfast meal. In the write up of his findings, Phillips talked about some of the limiting factors that he faced while conducting his study. The first thing that Philips mentioned was that he did not know what the students had for breakfast. The students were asked if they had eaten breakfast prior to the exam, not what they had eaten for breakfast. 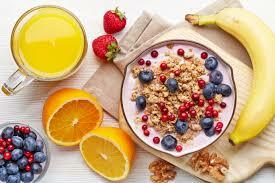 Because this was an observational study, Phillips was restricted from telling individuals what to eat for breakfast. After analyzing the data, I feel confident in concluding that the consumption of breakfast does indeed have a positive effect on how well students perform in the classroom. Despite a few minor variables that could have impacted the results of the study, the positive effects were undeniable. It was quite apparent that a full stomach in the morning is positively correlated with a better performance in an academic setting. 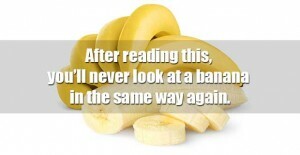 We are Bananas. B-A-N-A-N-A-S. 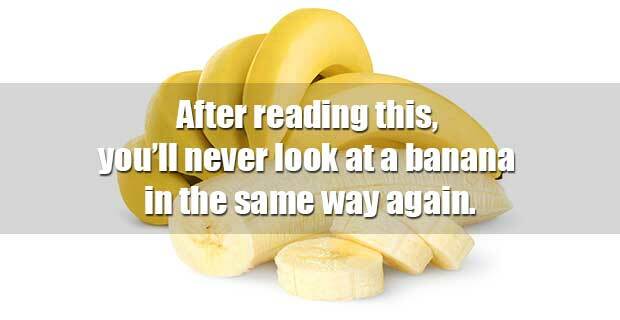 Wait but literally we are bananas. As I left class today, I realized it was time to reevaluate my thoughts on evolution. Like Dr. Cavener, I was raised in a religious household, however my parents never discouraged the formation of our own opinions. My high school science classes briefly touched on the topic of evolution, but never went deep into the subject. The one thing I took away from my high school biology class was that humans share 50% of our DNA with bananas. Today’s class talk really got me thinking, about evolution. As a species, where did we come from? According to BBC.co.uk, the earliest evidence of life on Earth can be traced back 3.8 billion years. These first life forms were single celled, similar to bacteria. As time passed the DNA strains present in these organisms mutated. These mutations caused both physical and psychological changes in species. It was mutations like this that have caused giraffes to have long necks, as stated by Dr. Cavener, and has made humans the way they are. In fact, 3.794 billion years worth of mutations allowed for species to become bipedal. Bipedal is just a fancy way to say, walking on two legs. Though mutations play an integral part in evolution, it is important to remember that mutations are random. The mutations happened by chance, but the mutations that have become mainstays in the animal kingdom are not exactly random. English naturalist Charles Darwin’s theories regarding genetic mutation are widely excepted throughout the world. He claimed that though mutations in DNA strains are random, certain mutations remain and become the norm due to a process of natural selection. If a genetic mutation aided in the survival of an organism, then the organism would survive, reproduce, and pass that mutation to its offspring. 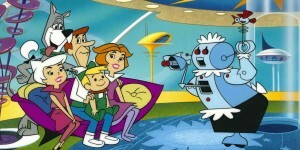 This would continue onto the next generation and so on. Years later work by biologist R.A. Fischer reinforced Darwin’s theories in his book “The Genetical Theory of Natural Selection”. Fischer used mathematical formulas and statistics to explain mutation survival. This quantitative addition, developed the evolution theory. Genetic mutations make us who we are. Even the smallest of mutations can cause huge differences. Even if we share almost of all our DNA with another species, it just takes a few differences in the genetic makeup to cause them to belong to completely different classifications. At this point I think it is common knowledge that we descended from primates. In fact we share 98% of our DNA with chimpanzees. We also share 85% of our DNA with Zebra fish and 15% of our DNA is shared with Mustard Grass. Though we are incredibly genetically similar to these creatures, differences in the DNA sequence make huge impacts. Though my religious beliefs cause me to want to agree religious texts saying God created man out of dirt, my instincts tell me not to. The data and research is insurmountable. Like we talked about in class faith does not equal science, and in this case my faith is not strong enough to overcome reasoning. This entry was posted in Uncategorized on October 20, 2016 by Marielle Concetta Ravally. Stress is something that is unfortunately another part of growing up. As a kid we didn’t have to worry about anything. The only thing we had to focus on was playtime, nap time and snack time. As a young adult I really do miss the good old days and long to be a kid again. 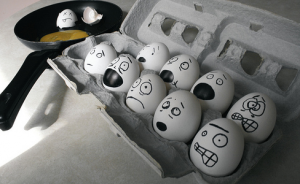 Stressful is the word I think most undergraduate students would use to describe college. We as college students have the right to be stressed with work, homework, internships, activities and maintaining a high GPA all at the same time can be a lot of pressure for one person to handle. According to the American Psychologist Association , stress is characterized into three categories acute stress, episodic stress and chronic. Acute stress (minor) is the kind of stress you get when you have ten papers and two projects all due in the same week. This is short term stress that is not as harmful and can actually be a great motivator for people to get things done. Everyone will have some form of acute stress in their lifetime. Next is episodic stress (mild) you always feel like you are running from point A to point B. Or feel like there is not enough time to do anything. This is common for those that are too overcommitted. The last more serious kind of stress is called chronic stress (extreme) this is more than just feeling too overwhelmed. This condition can go on for years. A person may feel like their situation will never get any better. It can be caused by current living situation, bullying, work and other stressful environments. It started to really affect my mood. I went to the doctor because I was having major headaches and not eating properly. The doctor did some tests and everything came back normal. They said my symptoms were most likely due to stress. So I talked to my advisor and dropped a few credits and reduced the amount of activities I was a part of. After a few days I started to feel like a huge weight had been lifted off my shoulders. Take my advice don’t get too stressed out. Also look into what might be causing that stress. There are also some symptoms to look out for if you feel stressed out stomach aches, headaches, lost or gain in appetite and lack of sleep. 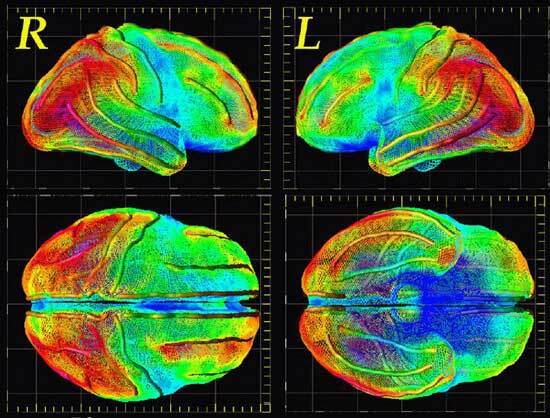 This is what happens to your brain according to The Huffington Post, cortisol, a hormone that the body produces during stressful events is released but too much this can wreak havoc on the body. I think as young people we need to learn how to deal with stress now before we leave college. Because after we graduate and enter the real word there will be a lot more things to stress about. Chronic stress in adulthood can lead to some deadly diseases like heart disease, high blood pressure and so on. 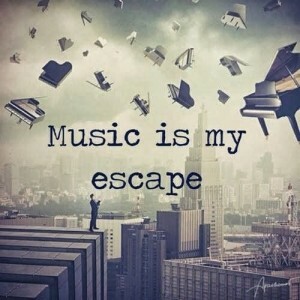 That’s why it’s imperative to find ways to destress before irreversible damage is done to your body. Here are a few ways de-stress. Get a journal and just wirte about how you feel. Write down all of your thoughts the good the bad and the ugly. This will to let out all of the emotions in a healthy way. Hang out with the people that make you happy. Spend a time with those that bring out the best in you. Laughter is natures best medicine. 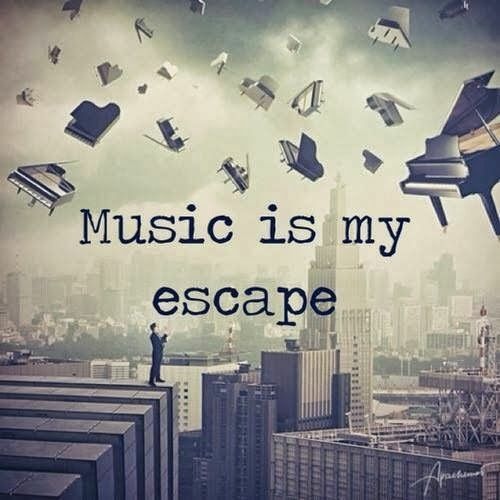 Plus, it will take your mind off of whatever is botehring news. 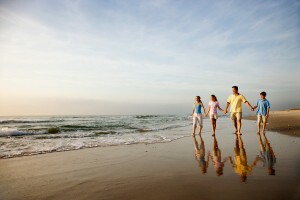 Exercise more, according to MayoClinic.org being active releases a feel good hormone called endorphins. Not only will it put you in a good mood but it will keep your body in shape as well. These are just a few idea on ways to relieve stress. There are literally hundreds of other recommendation so there something out there for everyone to try. So don’t be afraid to try a few and see which one works for you. 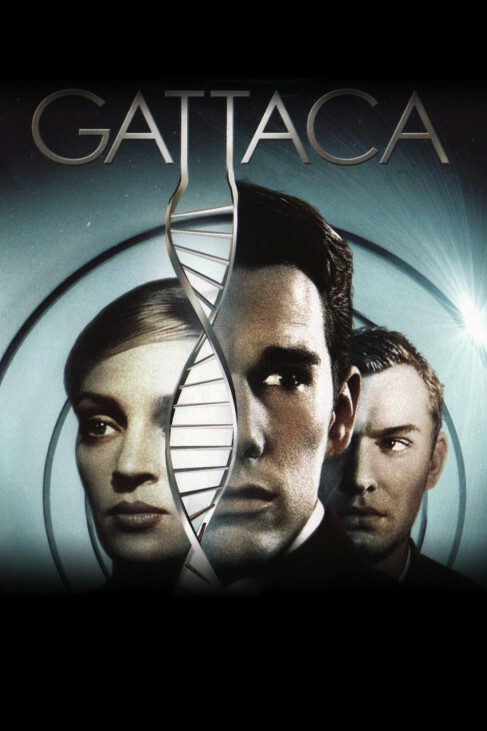 What sparked the idea for this blog post was a Gattaca-esque video that popped up on my Facebook feed. 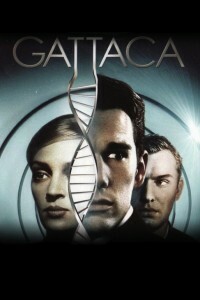 The animated video explains the process of how humans could be potentially grown, and tailored to the parents preferences, much like in the movie Gattaca. So this led to my wondering, is it actually possible to grow a human outside the human body? As said in the video, the type of science that is working on developing this process is called eugenics. The purpose of eugenics is to try and enhance the genetic makeup of humans. The term itself was first coined in 1883 by Sir Francis Galton. Since then, the field has continued in their suit of human betterment through genetics. With this type of science comes a plethora of ethical issues. People are very concerned in terms of genetically altering people and how that would effect people with disabilities. Some are of the opinion that doing this kind of research subjects people with disabilities to even more discrimination than they already face. It suggests that people with disabilities are only their disability, and it overlooks all that they can do and the positive impacts that they make on society. It also discourages diversity, which occurs through the regular processes in reproduction. There are arguments on both sides, but either way there is a lot of red tape involved in terms of actually doing anything, as numerous policies have been put in place regulating eugenic experimental applications. Also, I have seen no studies even suggesting completing such an experiment. Again, this is do to all of the rules and regulations which have been put in place. It seems that the idea of growing humans outside of the human body is strictly a theory, and a pretty out there one at that. This entry was posted in Uncategorized on October 20, 2016 by Lucille Laubenstein. Whats you acne telling you? Lets be real, we all have acne. Wether its a pimple every now and then or they are constantly on your face. For me its usually while I’m menstruating and/or when there is a lot of stress in my life at that time. When you get a pimple you think “what the heck!”, “why me?” and many other thoughts. But have you ever thought what really triggers your acne? 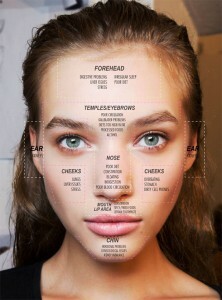 In this article about acne, Chinese medicine had come up with an acne map. They have discovered that depending where you break out is caused from within in. In the article they have a virtual map that lets you click on the part of your face that has acne and it will tell you whats causing the acne. Thats pretty cool right?! I was able to figure out what triggers the acne on my chin/jaw area, and I will defiantly be trying what they recommend for the acne to go away. They claim that face mapping isn’t always correct, but it can tell you what to look out for. The article also says to look out for what you are putting on and into your body. The disclaimer of the article is that what work for another person may not work for you. Don’t get discouraged if it dosent go away immediately, give your face time to heal. This entry was posted in Uncategorized on October 20, 2016 by Sarah Toyos. Everyone knows that picking your nose is gross and will give you a bad image among the people who catch you in the act. Although this seems to be an everyday activity for most, it is something that should be stopped. A survey conducted by James Jefferson and Trent Thompson found that over 90% of the people who took part in the survey claimed to pick their nose daily. In most cases, this is a private practice. Another study showed that many adolescents stated they pick their noses multiple times in one day (Griffiths). Rhinotillexomania is a disorder that occurs when nose picking becomes exaggerated. Most people do not suffer from this, but there are extreme cases where this can occur and people become obsessive about picking their nose. This can be dangerous because it can encourage excessive nose bleeds. Another issue is when people tend to pick their nose and eat what they just extracted from their nose. The scientific term for this is mucophagy. In addition to the gross factor, there are many other reasons why picking your nose is something you should quit now. It is actually quite a major health concern which, when you think about it, makes a lot of sense. First, by picking your nose, you can actually cause a nose bleed to start. There are many arteries that are located in the nose. When you scratch those arteries it can cause intense bleeding and start a nose bleed. This is a very common thing that happens to younger kids. Secondly, the bacteria Staphylococcus aureus often resides in the naval cavity. While picking your nose, you cause the walls of your nose to get scratched. Even if you don’t realize it, those scratches cause your nose to bleed, even the slightest bit. When scratches occur, it is often very easy for the staph infection to enter the blood since your nose will be bleeding slightly. Many studies have been conducted see who has Staphylococcus aureus present in their nasal passage. There has been no published explanation for why many carry this bacterium in the nose, but multiple studies have been performed. Staphylococcus aureus can also be carried on a person’s hand, so when said person goes to pick their nose, staphylococcus is all over the place and increases the likelihood of receiving a bacterial infection due to it being present on both the hand and in the nasal passage. In a particular study published by Cambridge University, there were participants that were ear, nose, and throat (ENT) patients and also, volunteers who were reported to be healthy. All those who agreed to participate in this study filled out a survey describing their behavior with their nose. In other words, they explained if they picked their nose and how often a day they picked their nose. Then the ENT patients were screened to look for signs of S. aureus in their nasal passage. The results were then broken up into the ENT participants and those who volunteered. The ENT results showed that those who picked their nose were more prone to be carrying Staphylococcus aureus than those who reported to not pick their nose. In terms of the volunteers, there seemed to be a positive correlation with those who reported picking their noses quite a lot and the amount of S. aureus in their nose. I find this study very interesting because it proves that nose picking is bad for a person’s health. The correlation between nose picking and the bacteria residing in one’s nose is significant and seems to have been proven positive (Wertheim). So what does Staphylococcus aureus cause? Staph infections typically cause growths such as boils or abscess. It can also cause diseases such as food poisoning, toxic shock syndrome, or cellulitis. Staph infections can be treated with a variety of antibiotics, depending, of course, what type of infection one has. But instead of worrying about antibiotics, avoid the infection all together by quitting picking you your nose. Allan, Patrick. “Why You Probably Shouldn’t Pick Your Nose.” Lifehacker. N.p., 22 Aug. 2016. Web. 20 Oct. 2016. Griffiths, Mark D. “Snot My Fault.” Psychology Today. N.p., n.d. Web. 20 Oct. 2016. Picking, Stop. “Nose Picking (Rhinotillexomania).” Dermatillomania Center. N.p., n.d. Web. 20 Oct. 2016. Stöppler, MD Melissa Conrad. “Staph Infection Symptoms, Causes, Pictures & Treatment.” MedicineNet. N.p., n.d. Web. 20 Oct. 2016. Wertheim, Heiman F. L., Menno Van Kleef, Margreet C. Vos, Alewijn Ott, Henri A. Verbrugh, and Wytske Fokkens. “Nose Picking and Nasal Carriage of Staphylococcus Aureus.” Infection Control and Hospital Epidemiology 27.8 (2006): 863-67. Web. This entry was posted in Uncategorized on October 20, 2016 by Allison Maria Magee. Does Tea Cause Kidney Stones? I’m an avid tea drinker. I love tea, especially green tea, and all of the benefits it can offer. For example, green tea improves health and promotes weight loss. And mint tea can help with stomach aches. One thing I’m wondering is if tea can cause kidney stones. My friend posed this question to me a few weeks ago, and ever since then, that question has been swirling around my head— especially if I’m drinking a cup of tea. According to EverydayHealth.com, an article they published stated that drinking iced tea may cause kidney stones. The article notes that because tea consists of oxalates, kidney stones have an increased chance of forming in the kidneys. An oxalate is a common chemical that causes kidney stones to form. The article also points out that iced tea has a greater chance of creating kidney stones than hot tea. And while tea may contain oxalate, does correlation equal causation? For example, while oxalates may be correlated with creating kidney stones, this does not necessarily mean it is the cause. Many other factors can attribute to causing kidney stones. These factors, confounding variables, could be the solution to this question of whether tea causes kidney stones or not. Some possible third variables may include genetics, gender, exercise, diet and age. And of course, chance could always be the answer to the hypothesis. According to DiscoverTea.com, an article they published stated that different types of tea contains different levels of oxalates. The article further notes that a Japanese study concluded that green tea can even help prevent the formation of kidney stones. 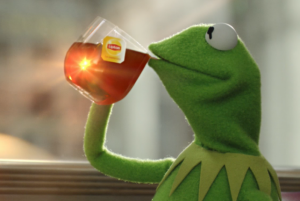 Additionally, the article points out that all of the studies used tea bags, and not loose tea. I would probably conduct my own experiment and compare my results and data to determine if iced tea can cause the formation of kidney stones. I would perform a meta-analysis and gather two groups of people. One group would drink iced tea, and the other group would not. I would then compare both groups and determine how many people formed kidney stones. I’m interested to find out what the results would be, but I assume the group who drank the iced tea would have an increased number of kidney stones formed versus the non-tea drinking group. While tea may have a lot of benefits, certain teas, especially of the iced variant, may cause kidney stones. But don’t fret, because some teas, like green tea, can have the opposite effect and actually prevent kidney stones. Be aware of what kinds of tea you’re drinking, but don’t be too concerned. Kidney stones are not a major health hazard, and they pass naturally through the body. Unless you’re Joey from Friends, and it’s an unbearable experience all around. This entry was posted in Uncategorized on October 20, 2016 by Christina Rae Locurto. 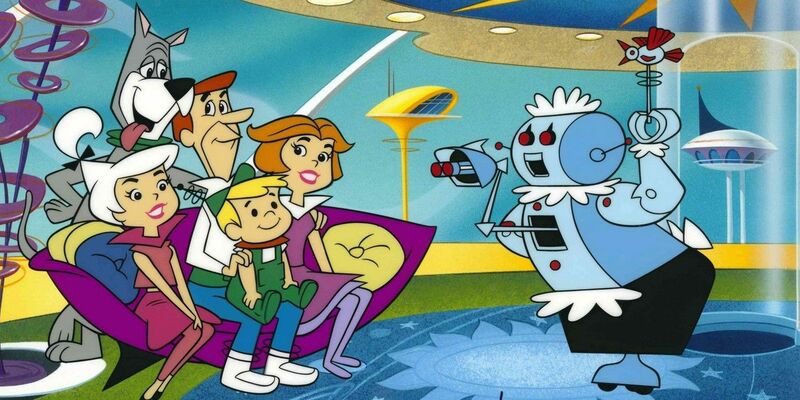 Does Modern Technology Have the Ability to Reduce Crime? Strike one, strike two, strike three and you’re in it for life. This is the ideology that our justice system has for criminals these days. Although, is it possible to predict if strike two or three will happen? Recently new technology has risen to jump start the idea that we can tell if a criminal will commit another crime after being released from prison. First, we will look at the neuroscience behind this belief, then we will look at how this can benefit our society, and lastly we will look at my personal opinion. Found through research at Duke University, “neuroimaging” is a new break through in the scientific community. Neuroimaging is a noninvasive process that allows for individuals to have better visualization of the brain structure and how it is functioning in each patient. Through this process, medical personnel and scientist are able to predict if a criminal will commit a crime again. The following studies do not suffer from the file drawer problem; they have been published in the “Proceedings of the National Academy of Sciences”. The first study from the University of New Mexico, included 96 male criminals all between the ages of 20 and 52. All 96 individuals have been released from prison for the past four years. The study used the anterior cingulate cortex (ACA), the part of the brain that is related to impulsiveness and behavior. 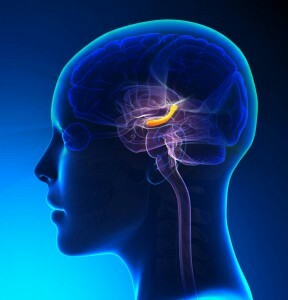 When this part of the brain is damaged, that particular individual is more likely to commit a criminal act. The study showed that of the 96 males, the ones with low ACA activity are two times more likely to reoffend than the others. With that said, if we can measure the amount of activity in the ACA on an MRI, then we can see who is more likely to reoffend, right? Of course this hypothesis has many third variables. Some of these can be anything from the fact that these men were locked in prison for so long, as well as the fact that some of these men may not actually want to be civilized, this goes hand and hand with mental health. Matthew Bohrer goes deeper into what these third variables could be here. This will allow for the justice system to better prevent more crime. The best example of this is with Rodney Alcala. In 1968, Alcala raped and almost succeeded in murdering an eight year old girl in his apartment. He was then released from prison and put on parole less than ten years later in 1974. After being in prison for five shorts years, Alcala was released. Afterwards, Alcala was convicted of killing five known girls. Could this have been prevented? Crime in America says that of 405,000 prisoners, two-thirds of them were arrested again for a new crime only within three years of their release. Additionally, within five years of being released, three-quarters of criminals were arrested for a re-offense. This is a stomach flipping amount if you ask me. Additionally, here is a study showing that eight out of ten inmates were arrested again after being released from a year or more in prison. This study was used to evaluate the Delaware Justice system, taking place in the year 2013. The Governor of Delaware stated that they needed to find a new and better way to reduce crime and prevent criminals from re-offending. The development of this neuroimaging technology can be that solution. Contrary to the null hypothesis, which is that neurological technology won’t be able to tell if a criminal will commit another crime, I believe that it will. Also, I think that this is something that could better our society immensely. If we have the ability to test a criminal before we release them from jail, we could then prepare or potentially avoid the next crime from being committed. The morality behind this argument is a discussion for a different time, but as for what is in this blog post, I believe that it could be beneficial. This entry was posted in Uncategorized on October 20, 2016 by Abigail Edwards. Does Having a Pet Keep You Out of The Doctor’s Office? As college students, stress is a concept that is near and dear to our hearts, literally… The subject of stress relief is very important to deal with on college campuses because stress can have a detrimental effect on students’ happiness and grades while attending college. During the process of researching ways to deal with stress, which involved sorting through the mountains of breathing exercises; I stumbled upon something that caught my attention, having pets might alleviate stress. After doing a bit of research I still had a couple of questions. 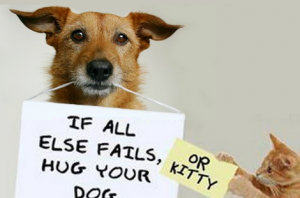 Just how much do pets help relieve stress? What is it about pets that makes humans less stressed? After further research, I came across a study run by Karen Allen, Ph.D. at University at Buffalo. In this study, Allen assembled a group of 48 Wall Street bankers who had histories of high blood pressure. The group was composed of 24 males and 24 females who had no history of smoking and no other current medical conditions. The last important feature of the individuals in this group was that they lived alone and had not had pets in the last 5 years. They were randomly assigned to one of two groups, experimental and control. All of the prerequisites the participants in the study had to meet helped eliminate possible confounding variables. In this study, the independent variable was whether or not the participants were given pets. The dependent variables were blood pressure and heart rate which were both measurements of participants’ stress levels. After 6 months of treatment for blood pressure in the control group and, for those in the experimental group, time with their pets, the blood pressures and heart rates of the subjects were taken. When put under stress, the blood pressure and heart rate of those in the control group jumped up to nearly pre-treatment levels while those who were in the experimental group averaged a relatively healthy 10 BPM increase in heart rate. The experimental group also experienced an average increase in systolic blood pressure of 8 mm/Hg, and an average increase in diastolic blood pressure of 9 mm/Hg, both of which would be expected from healthy individuals. After seeing these results, I was shocked by that fact that just having a pet could have that drastic of an effect on your physical well being. While this study did not talk about the P-value that they could have gotten, it seems that with as big of a difference in results between the two groups, the P-value would be extremely small. One problem that could have caused this experiment to show misleading results was the small size of the group that was being examined. 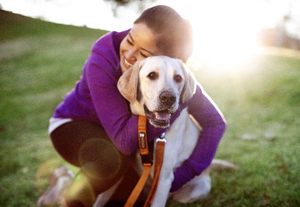 While having a pet can be a burden for some individuals, the benefits outweigh the time and expenses of caring for an animal. This investment can score you a daily companion, as well as lead you to live a healthier lifestyle. The vast amount of benefits make it hard to argue that owning a pet is not a worthwhile decision for those that are regularly exposed to high pressure environments.